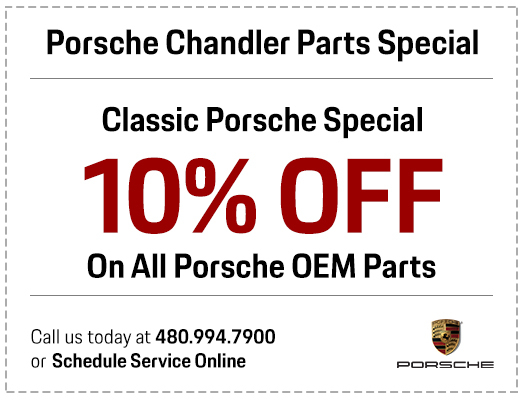 We at Porsche Chandler understand that while Porsche coupes, sedans, and SUVs are famous for their performance, comfort, and luxury, they only achieve thanks to the high-quality parts involved. That's why we maintain a parts center stocked with genuine Porsche parts, including those specifically designed for your vehicle. But we also understand that it can be difficult to steer away from your busy schedule to get new parts installed, and that's why we maintain a list of Parts Specials. 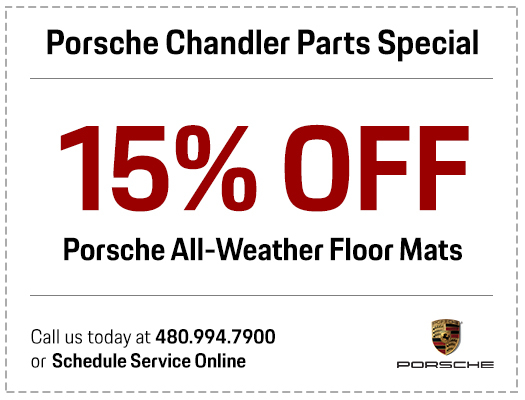 *Valid at Porsche Chandler on Porsche vehicles only. Plus tax & fees if applicable. No cash value. Offer not valid in conjunction with any other special or offers. Must present coupon at time of order. Expires 6/17/2019. 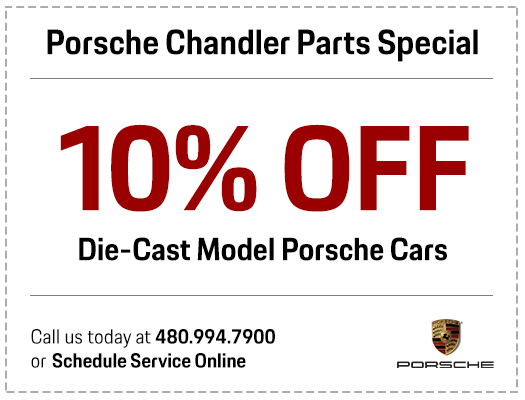 Valid at Porsche Chandler on Porsche vehicles only. Plus tax & fees if applicable. No cash value. Offer not valid in conjunction with any other special or offers. Must present coupon at time of service write-up. Expires 6/17/2019. This is a list coupons valid towards genuine Porsche parts, listed at a special price. Through this, we offer the parts your Porsche needs for the price your wallet wants. Simply print these coupons and bring them with you to our Service Center when you drop off your Porsche. Our trained Porsche technicians will then install each part the right way the first time. But these coupons change every few months. So, if you find one that fits your needs, print it out and take advantage before it expires. If you aren't sure if we have the part you're looking for, please feel free to inquire on our website, and we will notify you if or when we have that part in stock. 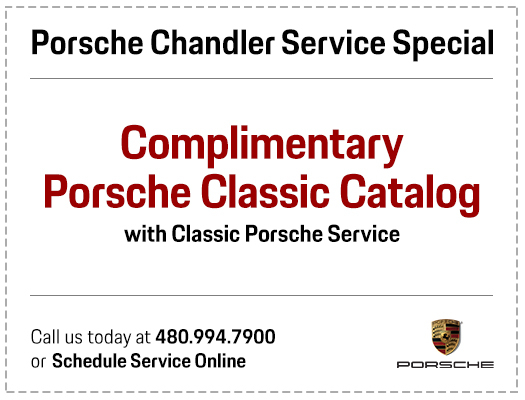 We proudly serve the Porsches of Chandler, as well as the Porches of Phoenix Scottsdale, Tempe, and Mesa.